Update your vehicle’s safety equipment with new & used tires and a complete line of tire services from Used Tires of East Tennessee. With the combined inventory of our three stores and warehouse, we offer you more than 10,000 tire selections for cars and trucks. We keep almost all rim sizes from 12 in. to 22 in. in stock at prices that start at $10 and up. To save you money, all prices include tire mounting and balancing. You get to enjoy extra savings with our selection of wholesale tires that are available at select times. 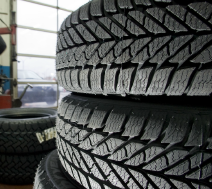 We offer a minimum of 100 tires per order. You can also find new tires from most major brands at our tire shop, but we only keep a few sizes in stock. Next business day delivery is available when you want to place an order.